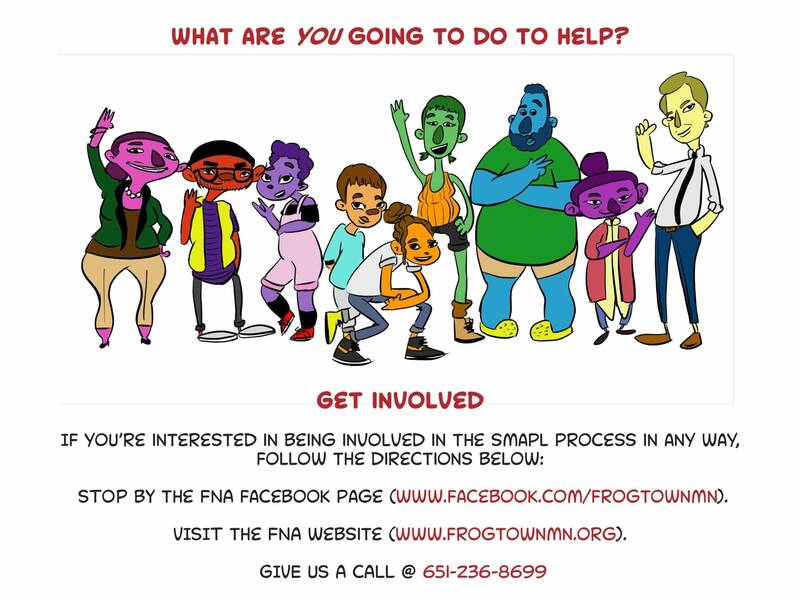 The Frogtown Neighborhood Association really broke the mold of city planning documents when they submitted a 125-page comic book to the city of St. Paul detailing how they want their community to develop in the coming years. Each of St. Paul's 17 districts is required to submit a "Small Area Plan" about once every 10 years to communicate what their needs and priorities are in regards to housing, transportation, arts, education and land use. These are typically dry, jargon-laden affairs, but the Frogtown Neighborhood Association wanted to do something to get the attention of city leaders and bring more neighborhood residents into conversations about urban development. "We wanted something that (would) circulate around the community and get people excited because a lot of the policies that we're trying to enforce in the document need to be backed wholly by the community if they're going to be implemented," said 30-year-old Mychal Batson, aka Dazzle, the artist behind graphic novel. Batson was a long-time Frogtown resident, he recently moved abroad, and spent more than a year writing and illustrating the Small Area Plan — or SmaPl, as they call it — with the FNA and neighborhood residents. 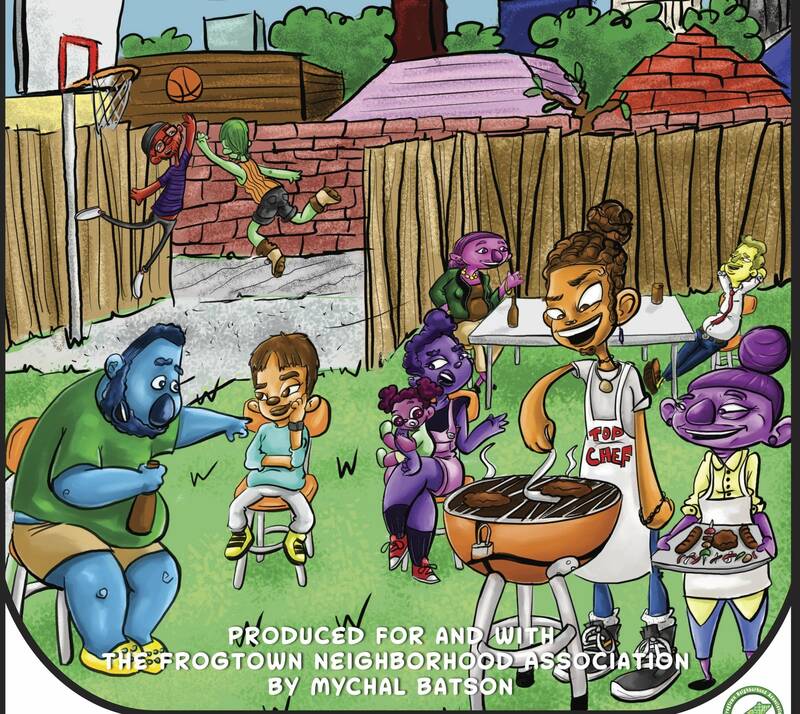 Frogtown residents are represented by a handful of cartoon characters, "SmaPlites," who serve as guides to various topics. There's Sayama the "OFG," Original Frogtown Granny, who's an expert in transportation issues. She proposes heated bus shelters, more pedestrian-friendly streets and relaxed zoning to allow businesses to pop-up within walking distance to residents' homes. Then there are Monica and Pao, experts in arts and education. They want a central arts center, opportunities for local artists to partner with businesses and creative events hosted on Frogtowns' many vacant lots. There's also Earl — aka "Big Man on Campus" aka "Man of Steel" aka "Royal Rumble" — the housing guide. After consulting his neighbors, he wants changes in zoning policy to allow Frogtown to develop more alternative housing structures. He says tiny houses and micro-apartments could help ease Frogtown's shortage of affordable housing. The St. Paul City Council and Mayor Melvin Carter must formally accept the Small Area Plan before it's added to St. Paul's larger comprehensive plan. Carter praised the document in an email to MPR. "The Frogtown Neighborhood Association and artist Mychal Batson have reimagined what a planning document can be," Carter wrote in a statement. "This graphic novel creates a new type of accessible, functional and fun living document that will help Frogtown shape its future."